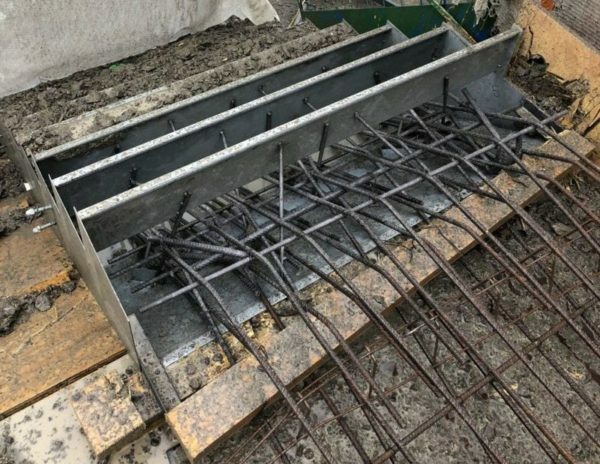 Formwork is an essential part of creating structures, providing a temporary or permanent mould into which concrete can be poured. Hydroblast were recently asked to rescue 8 flights of cast stairs. 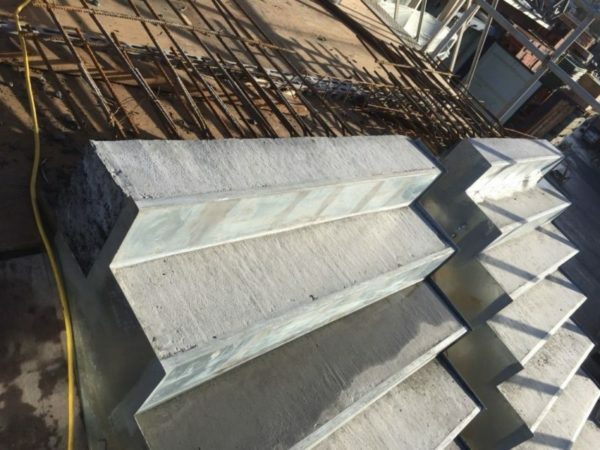 The customer had poured concrete into the formwork, which then honeycombed and became too dangerous to lift. We were to remove approximately 0.3m³ of C50 strength concrete from each flight. 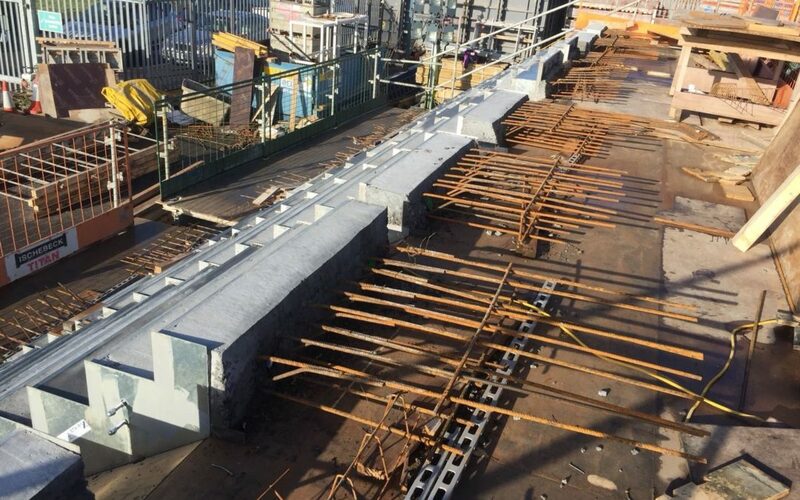 Our aim was to expose the lifting points so they could be moved, while leaving the formwork spotlessly clean for the concrete to be replaced. When we received the task, it was clear that hand lancing was the best solution. Where hydrodemolition robots are excellent for removing concrete in bigger areas and in places that are dangerous for operatives to access, hand lances are perfect for more intricate tasks. To achieve the best results, we attached our very own DEMJET nozzle to the lance. The DEMJET can produce a more consistent, targeted stream of water than other demolition nozzles due to its innovative design. We ensured that the hand lances used were in compliance with the Water Jetting Association’s Blue Code of Practice. To avoid contact with the water stream, it states that “the jetting gun shall be a minimum of 1.1 metre long for standard applications”. Water jetting injuries can be serious and, in some cases, fatal. To protect our staff, we are dedicated to following these regulations. We also ensured that the reaction force was within the 250 Newton limit specified for hand lancing. After choosing our equipment, our operatives got to work. We removed the first three steps of each flight of stairs, which was enough to reveal the rebars and the lifting points. The customer was then able to successfully repour and recast the concrete so the stairs could be used. Having never heard of hydrodemolition before, our customer was thrilled with the results. The project was completed on time, within budget and to an exceptionally high standard. We also travelled to the client’s site at a time that was convenient for them, showcasing our flexible approach to our work. By using high pressure water jets, we were also able to reduce the risk of damaging the existing structure. Vibrations can damage the rebars, which can cause the entire concrete structure to weaken and crack. If this happens, the business would have been forced to repair the structure at great cost. High pressure water jets are more accurate than other forms of demolition and they don’t cause vibrations, making them the obvious choice. Hydroblast are experts in providing a wide range of water jetting services, including hydrodemolition, formwork cleaning and tank cleaning. We also offer approved water jetting training, which includes formwork cleaning and concrete removal for businesses that would like to perform this service in-house. We have a range of nozzles and equipment that are available to buy or rent on a short term (1 week) and long-term basis. To enquire about our services and our water jetting equipment, contact Hydroblast today.